Much of our efforts this month have gone into the change-over from version 1.0 of the developer’s edition handibot to version 1.1. 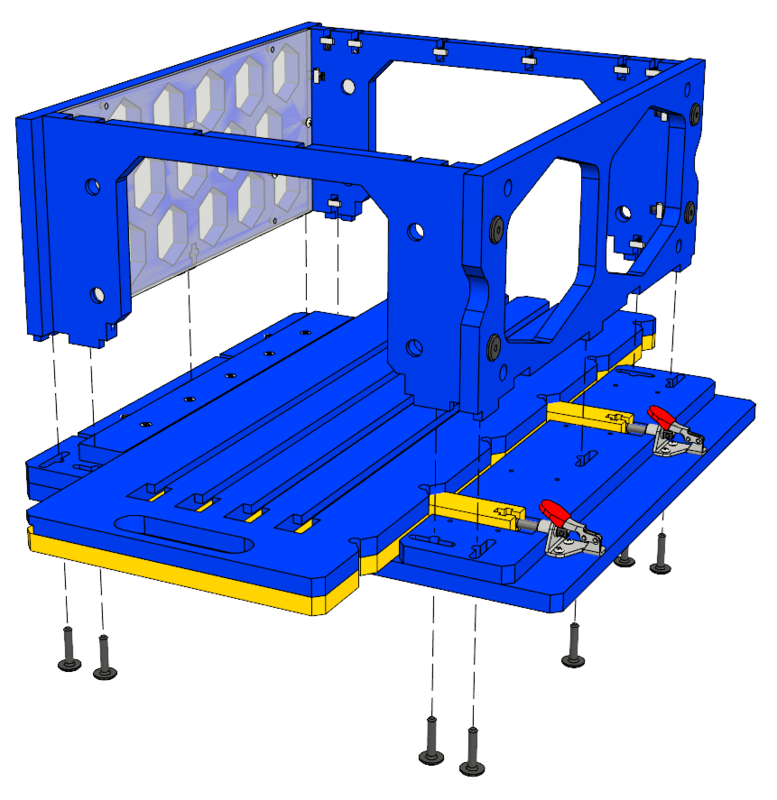 This update included a number of design improvements focused on the user experience with the tool; the new front panel design provides easier access to the router for tool changes and setup, the backing plates help with tool alignment for better cutting results, and the new limit switches are more compact in design and improve tool zeroing. With every change that we make to the design of a product; we also try to improve the way that we make our products. These improvements mostly fall under the categories of quality, ease of assembly and component cost. One of the most important improvements was made to the desktop tool that we use to cut out the HDPE parts for handibot’s exoframe and base. This tool was upgraded to have a small hand router mounted to the side of the main spindle. This router has a short 1.5” vertical travel that allows it to stay out of the way when the main 1/4” cutter is in use and then drop into place when its 1/8” bit is needed. This has allowed us to eliminate manual tool changes from the production process, allowing our production team to focus on other nearby tasks uninterrupted while the roughly 30 minute cut files are running. The next step will be to optimize the toolpaths for these parts to take advantage of the ability to quickly change back and forth between different bit sizes. All of these changes hopefully add up to lower component costs in the end. We’ve also changed the designs on a number of parts to make handibot easier to put together while maintaining quality. As skilled as the people building handibot are, we never want the assembly of a handibot to be an “art”. These changes are simple things like pockets machined into parts that positively locate components that otherwise would have required careful placement. The new limit switches require precise positioning of magnets to trigger the switches at the correct location. In preparation for the change to version 1.1 the drawings for some of the aluminum components were updated to include mounting locations for these magnets and we created a jig to modify our current stock of parts to match these new drawings. 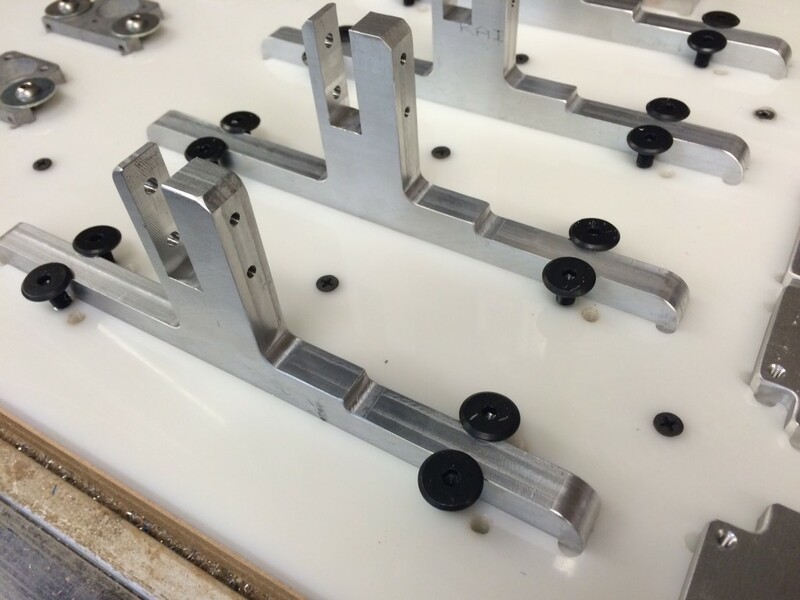 These efforts not only make the tool more reliable, they also speed up the assembly process. With all of these changes in place, we’ve been hard at work tweaking our cut files, building up a stock of parts and ramping up production of tools to meet the latest batch of orders coming in. The other part of our commitment to updating handibot is making these upgrades feasible for current owners as well. We ended the week working on a number of kits that will allow users to buy and install the parts required for upgrades to v1.1 style tools. 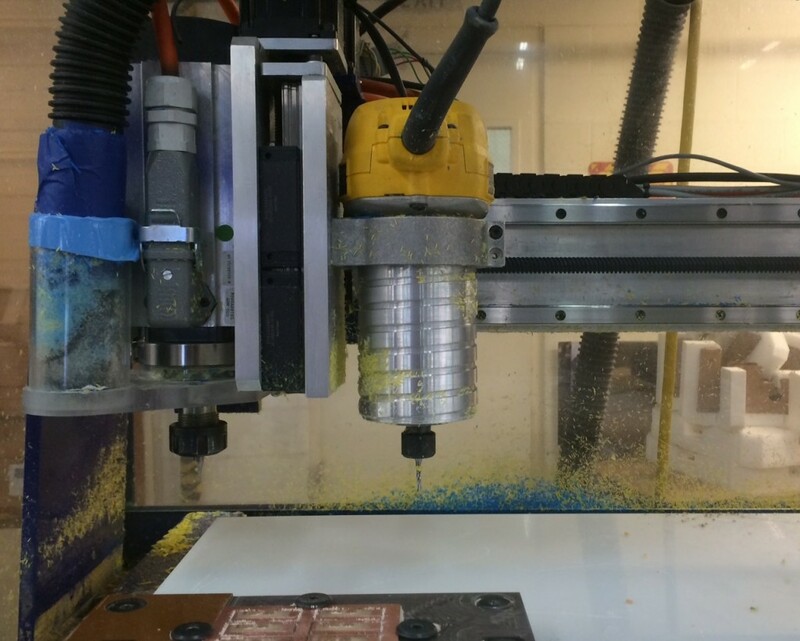 All of us that work on handibot spend some part of our time working on updates to the ShopBot line of tools as well. 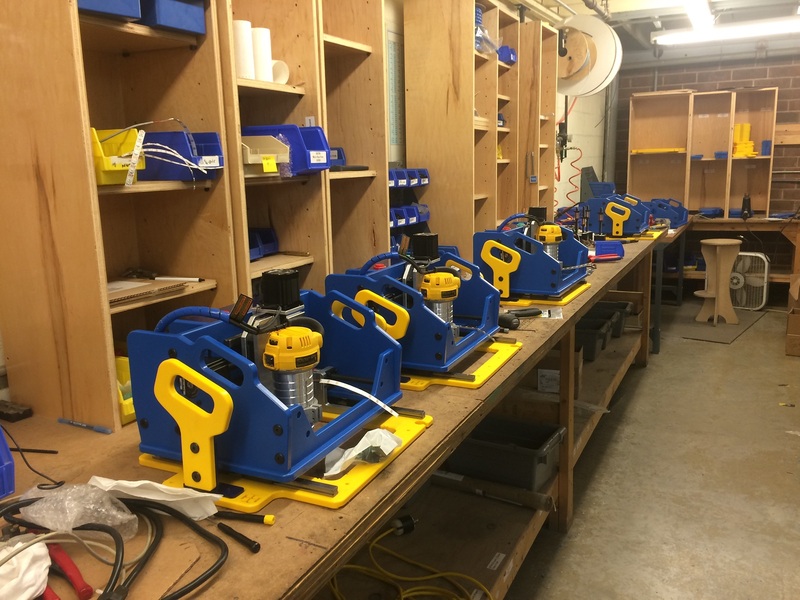 Even small upgrades to ShopBot tools require research into compatibility with years’ worth of legacy tools along with updates to numerous user documents that might reference the part being changed. The size and longevity of ShopBot make these kinds of large undertakings unavoidable. One of our major goals at each step in the development of handibot has been to carefully consider the way that we handle updates with an eye to trimming long development cycles by standardizing design and documentation practices. If each member of the team understands the whole process of bringing an idea to the store then the series of handoffs from engineering to documentation to marketing to tech support can happen with much more fluidity. We’ve been looking into using CAD software like AutoDesk’s Fusion 360 that employ a collaborative, cloud-based project format—this allows designs to be easily shared between all members of the team. In the near future it will hopefully allow members of the handibot community to watch projects develop in real time with models appearing in the cloud as engineers design them. The models that are used to create the cut files for new parts can also be used to create exploded views for user manuals and renderings for marketing. Having completely accurate models (down to the nuts and bolts) also allows tech support to better visualize what users might be looking at when they call in with a question. 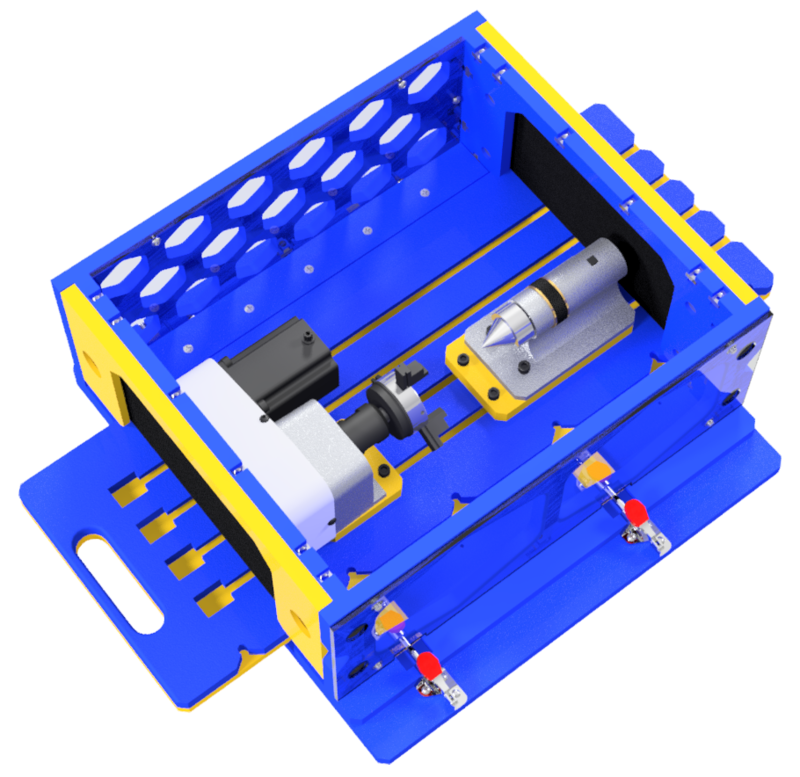 Our thoughts on the best practices are ever evolving and we’ve taken a bit of extra time with some of our upcoming products like the rotary axis and the crawler while we determine the best way to provide documentation to our users. A tidy approach to documentation will allow us to more easily make changes as new products and upgrades are developed (something of paramount importance to a product that we envision as constantly evolving). If you take a look at the docs page on the handibot site you’ll see that we’re moving towards a more pictorial style of user manual with limited text instructions. We hope that this will prove more accessible to new users. Hopefully we’ll get plenty of feedback from the community that we can incorporate into our work as we go along. As for the release dates for the upcoming accessories; we hope to catch up to the schedule that was posted at the beginning of the year. While the documentation is being finalized for the next batch of accessories, we’ve been applying what we’ve learned to our work on new products. It’s been helpful to pause from time to time to ask ourselves these fundamental questions about development but it is also important to us to get these ideas into the hands of the community, to which we look for many of the answers. I’m looking for a cnc router with a 4th axis. Space is an issue it looks like this could be the answer to my problem. Please contact me with more information and price. Thanks. When you sign up (free), you're able to upload complete instructions for making your latest project — this is pretty much any item that you've created with the help of a Handibot tool. Share files, videos and pix. If your project is already posted elsewhere (e.g. Instructables) you'll be able to share a link to it. Here, "ideas" can be lots of things. 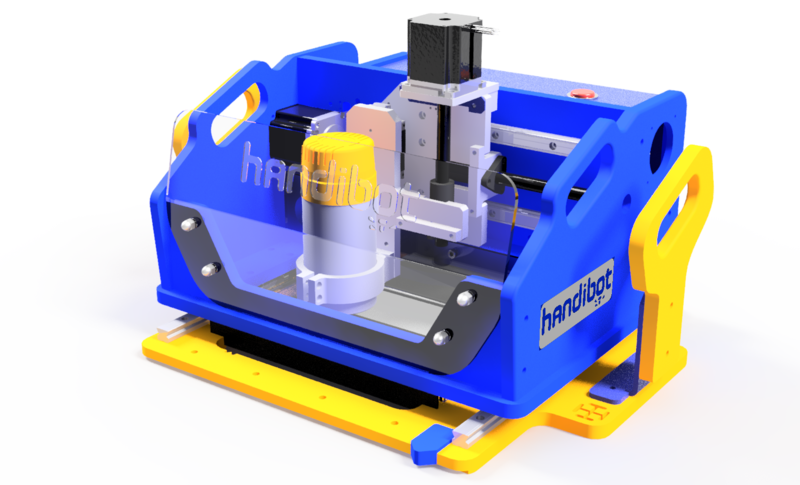 In this community you can share your suggestions for projects to make with the Handibot, and ideas for project or task-related apps. We'd also like your thoughts on ways to improve upon the tool itself and hear your suggestions for tool accessories.